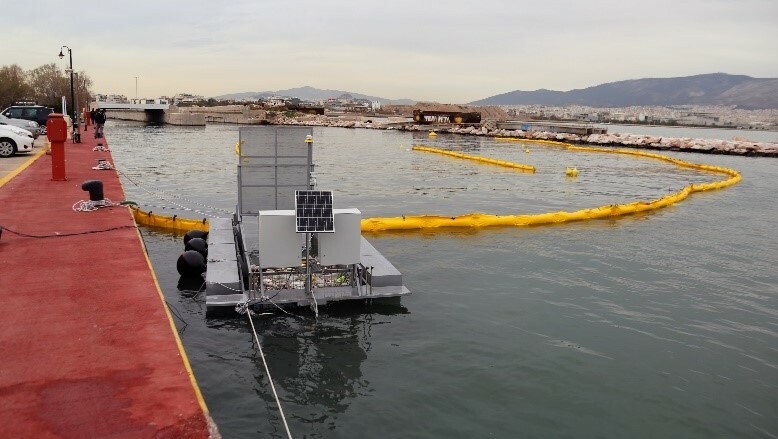 CLAIM’s floating boom, one of the five innovative technologies and processes on prevention and management of on-site cleaning and treating of visible litter has been now designed and a prototype has been manufactured by New Naval and installed in the river mouth of Kifissos River in Athens, Greece. 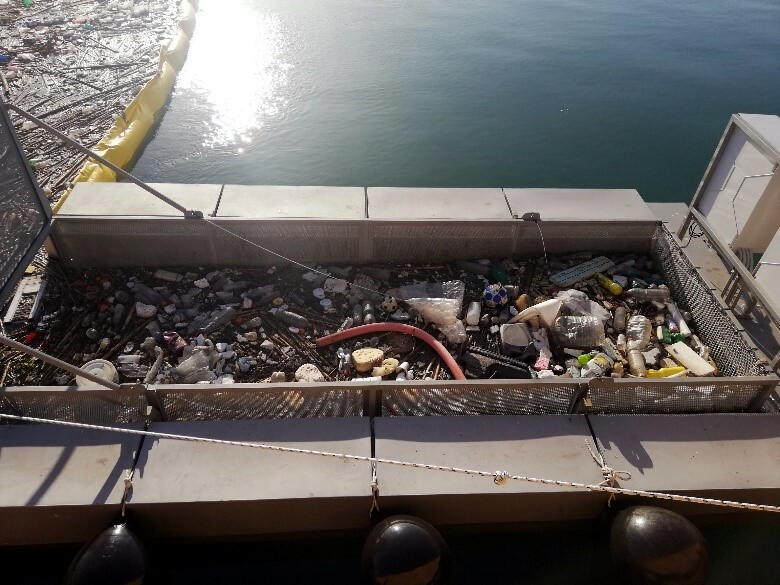 The system is an advanced marine litter collection system. The system is a Marine Litter Containment Floating Boom and is an unparalleled and highly-efficient solution to manually managing and removing marine litter from river mouths before the litter can enter into a larger body of water where the litter causes negative effects on the marine environments and where plastics break into micro and macro-plastics dramatically affecting marine life and marine ecosystems. The system has a highly efficient storage design with multiple levels that can be changed when filled. Download the New Naval brochure. The innovative formation barrier has the ability to be placed in any natural or artificial water flow and filter water progressively via interchangeable screens of variable meshes, which will withhold various sizes of visible litter, without distributing float and tracking data through monitoring. 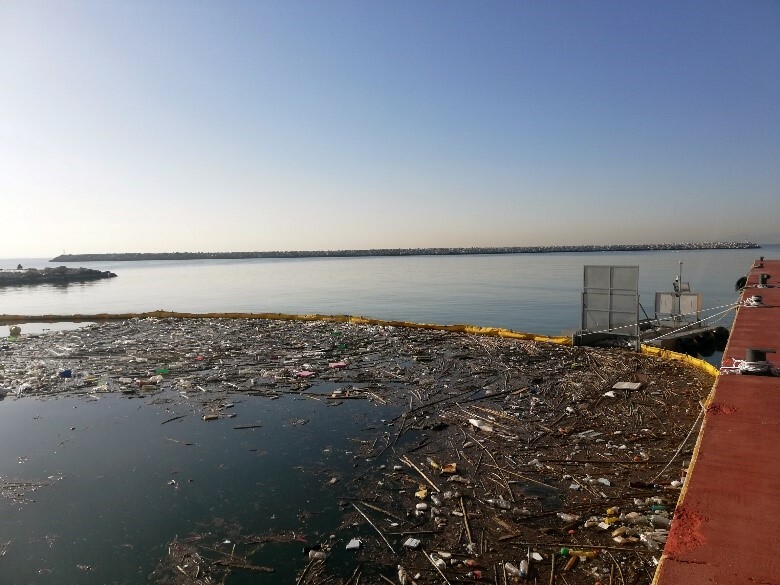 The Marine Litter Containment Floating Boom can be deployed near known sources of pollutants (river mouths, facility outlets & runoff). 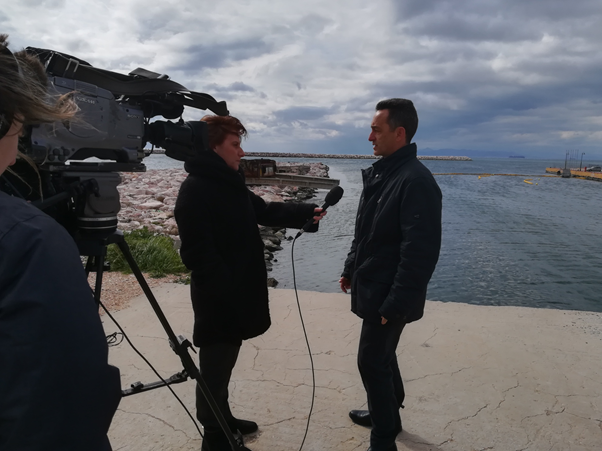 CLAIM’s coordinator Dr. George Triantafyllou giving interview for SKAI TV and ECONEWS. 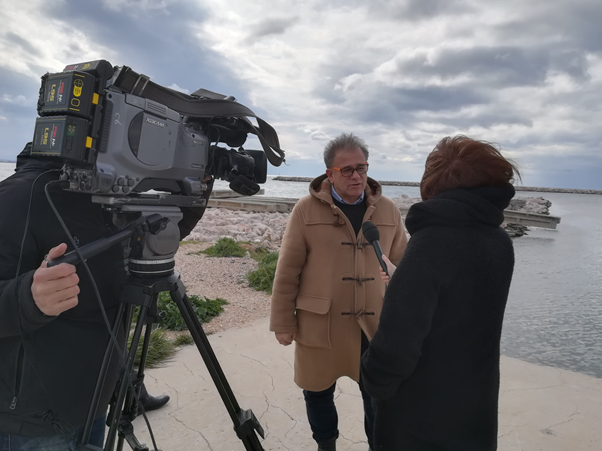 giving interview for SKAI TV and ECONEWS.